You have reached our N business listing categories. You may review our business listings below. 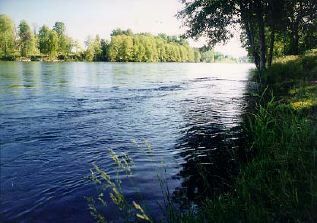 The Rogue River at Dodge Bridge, Sams Valley, Oregon. Roxy Ann Gem and Mineral, Inc. SO OR Womens Access to Credit, Inc.
Pacific WestcomPacific Westcom, Southern Oregon and the Pacific West Coast US Command Center for news, weather, events and business on the Pacific entire West Coast. We also present local area news in Medford, Ashland, Talent, Klamath Falls, Grants Pass and Southern Oregon. We invite you to visit our Medford Business Center, Medford Library, Medford Education centers of Southern Oregon University, Medford Schools and offer the Finest Central Business Internet Directory, Web Host in Southern Oregon. Pacific Westcom 's Pacific West Southern Oregon Western wilderness resources provide the finest vacation spots in all the Pacific North West including Crater Lake Oregon, Rogue River, Sand Dunes of Florence, Oregon Coastal Beaches, Lakes, Streams, Fishing, Camping, outdoor, Skiing, Sports, Water Skiing Lakes, Forests, hang gliding, Wild woodlands, Birds, cartoons, comics, cartoons, Oregon resources, Oregon streams, Oregon wildlife.Pacific Westcom is the wild west of the Pacific Coast Internet resources for the Pacific West Coast, Southern Oregon and the world. Providing the finest access to cyber intelligence from and for Medford, Ashland, Jacksonville, Klamath Falls, Rogue River, Trail, Talent, Shady Cove, Grants Pass, Brookings, Gold Beach, Keno, Pinehurst, Lincoln, Eugene and Roseburg.If you are vacationing, you may want to visit Oregon Bed & Breakfast facilities that are plentiful in the cities of Jacksonville, Medford, Ashland, Jacksonville, Klamath Falls, Rogue River, Trail, Talent, Shady Cove, Grants Pass, Brookings, Gold Beach, Keno, Pinehurst, Lincoln, Eugene and Roseburg Oregon and can be accessed by our Bed and Breakfast links at the top of this page. Whether it is vacation, travel or retirement, you will find hospitality in northwest and pacific northwest, lodging facilities.Each of the facilities offer gracious hospitality, warm ambiance and all are inspected and approved by Oregon Bed and Breakfast Guild. These places of rest present quiet and comfortable, surroundings. Some Ahland facilities provide access near, Southern Oregon University, just a few minutes drive where fine shops and restaurants are located in Ashland. A short walk to theater, plaza and the Shakespeare Festival.Pacific Westcom provides the West coast with Entertainment updates on Britt, Britt music Festival, Craterian Theater, Shakespeare Festival. Parking in Ashland is free and plentiful. So whether your stay in Southern Oregon or anywhere in the Pacific West Coast area is for interest in boats, fishing, boats, recreation, rivers, lakes, rafting, sailing, water sports, snow skiing, wilderness back packing or hiking; Or discovering history researching genealogy, climbing mountains rafting rivers, rock climbing, riding horses (horseback riding); studying for higher education in the many Southern Oregon colleges, community colleges and universities; Trying your skills at drag racing at the Southern Oregon National Speedway, auto oval track racing sports, watching or participating in air show, airplanes or gliders, go kart racing, dune buggy trail rides, motor cycling or horse racing in Grants Pass; You will find your interest right at hand on the Pacific West Coast Premiere Directory Pacific Westcom. Free fun and free recreation is everywhere on the west coast from Rogue River rafting, free swimming, free sports access,Businesses and retirement in Oregon offer a wide variety of benefits that boast the finest retirement living and farm and rural Oregon lifestyles. Real estate opportunities abound with local access to many golf courses, Oregon wineries, museums, theater, colleges, camping locations, campgrounds, parks, beautiful parks and sites such as Crater Lake National Park, Oregon Caves nestled deep within forests and old trees which abound with wildlife and birds.These freedoms are protected by a freedom thinking citizenry which offer advice and articles on protecting each persons rights to private property so to defend, help, and save our national freedoms and to own land and use water for crops.The right to own land, creeks, wet lands, forests and the right to choose which each person feels best for his own environment.Ranchers, farmers, shop keepers, laborer of all kinds defend Americans true rights outlined in the Declaration of Independence Forty Grievances for a free America.Pacific Westcom resources through education fights against such encroachments of freedoms such as zoning, government bureaucracy and provide educational links to such army of individuals taking national command in freedom fighting organizations such as: People for the USA, CDF The Civil Defense Force,Frontiers of Freedom,Jenny Creek Private Lands Coalition Jenny Creek Oregon, These Pacific West Freedom sites offer protection and defense from encroaching , socialism, communism and social government bureaucratic invasion on our most basic freedoms to own property.Rights which include land grazing, fence rights and US government lease land fences and grazing rights, creek access, river access, water rights, water right of ways, road right of ways, stream access for boats and boating sports , motorcycle wilderness access, horses and horseback trail access, cattle grazing and lease land access, and many other freedoms that allows a free people free access to their own land and forests,These organizations and their members keep up the fight for evolving differences of an ever testing socialist bureaucracy and do battle to defend the Declaration of Independence, its 40 Grievances and Bill of Rights within the Constitution of the United but free and Independent States of America.North, south, east or West, these defenders of state and states rights work to reduce the federal government and its intrusion of our private and free lives. Further, to educate all citizens from the president, government officials and all citizens of the united states to the freedoms and rights of a free country and a free people,To educate the United States military, state militias, army, navy, federal rangers, US army rangers, local city and county police, state police and officials of the Bill of Rights, Declaration of Independence our first right and duty, the Grievances within that document that define what freedom is not and the opposite of those which define what freedom is.